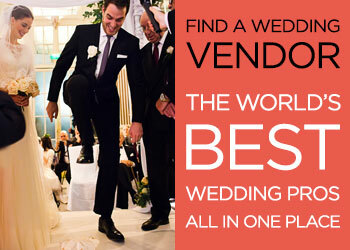 We debated for a long time where to get married. I was happy to have a small, intimate wedding in the garden of the house I grew up in. Mark however preferred the idea of a big party — a huge celebration that incorporated everything and everyone that we love most in our lives. After much discussion, we decided that if we were going to do it, we should do it properly. For us, that meant Israel. People still ask us why we got married there. It was a decision that came with huge sacrifice, including the fact that my grandparents weren’t able to travel there, so I’ve spent a lot of time rationalizing it. Ultimately, it came down to this: when you arrive in Israel they say ‘welcome home’ — that really touches me. Israel bridges the gaps in our Jewish identity in that it not only tells the story of the history of the Jewish nation, but it also brings the spirit of the Jewish people, and all the things we grew up learning about and being inspired by, into a tangible reality. It’s the place that we always want to go to, the place that we’re always missing. It’s the part of our life or our souls that is yet to be actualised and the destination that is yet to be reached. When we go there, there’s a definite sense of coming home and belonging. 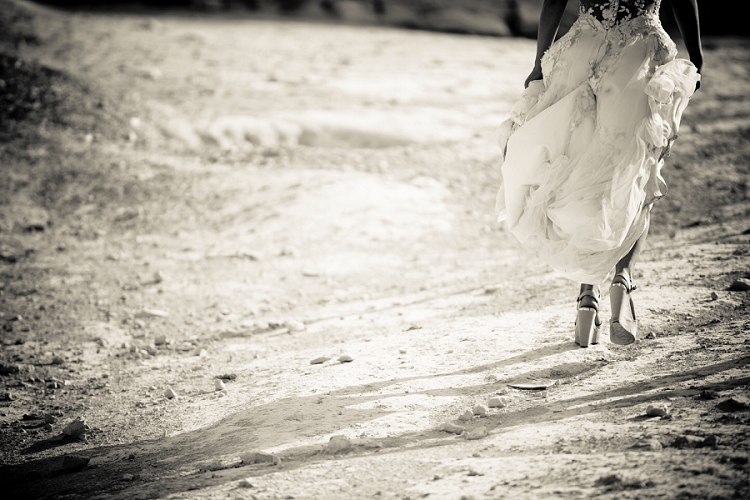 We got married in Caesarea, Israel. 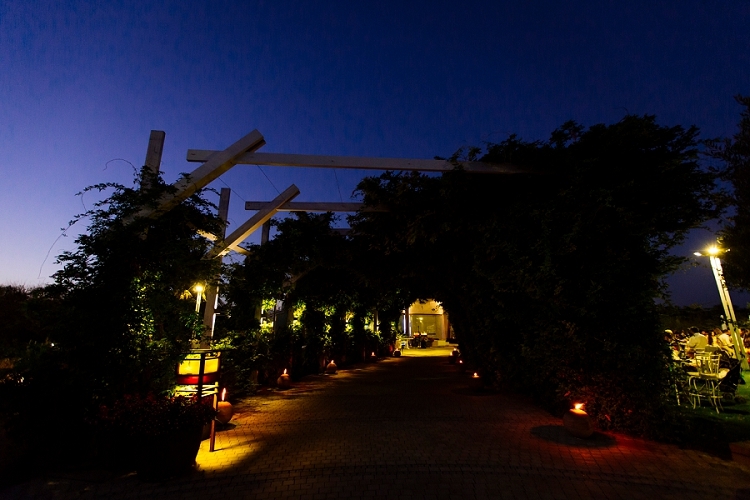 The venue is called Terra — it seems to be remarkably unknown by people who aren’t Israeli-born, but I fell in love with the mix of the modern architecture and the outdoorsy feel. The little extras of the area that guests were able to walk-through once getting off the coaches made it extra special. I had my hair and makeup done at the hotel we stayed at in Tel Aviv, and then got a minibus to the venue with my family. We didn’t end up staying, but there was a room that the bride and groom could use for the night of the wedding, which served us well as somewhere to get changed and dump all of the paraphernalia that seemed to follow us wherever we went. There was also a side room that we kept open for the babies to sleep in so that parents could enjoy the rest of the party without worrying — that was a huge plus as we had over 30 children at the wedding! 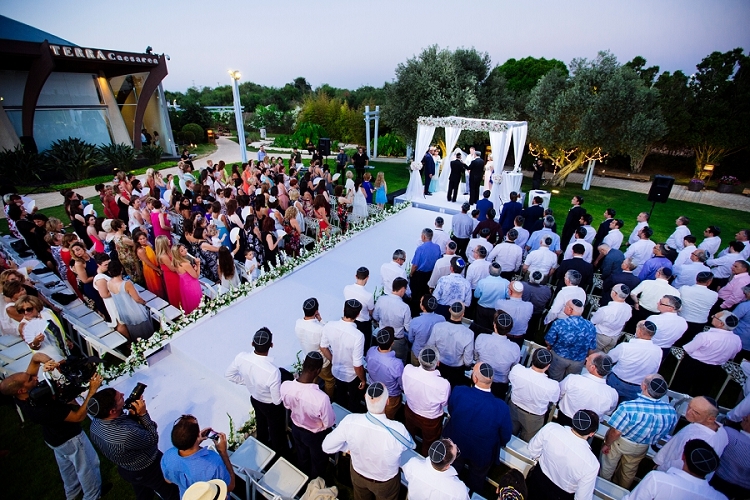 Having the ceremony and celebrations that marked the commitment we’ve made to each other for the rest of our lives take place in Israel meant the world to us both. 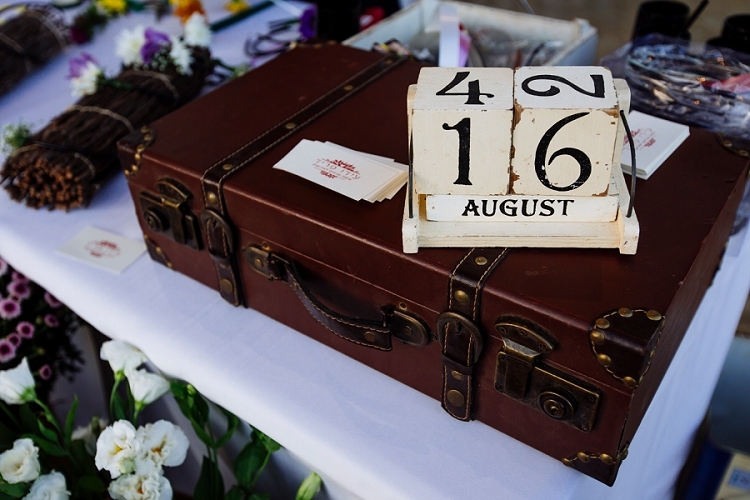 Additionally, the date we got married (16th August) is the same date as my parents’ anniversary, which made it that extra bit special for us all. I have never been someone who dreamed of their wedding since childhood, so I didn’t have any preconceptions about how I wanted things to be. Once we decided that the location would be Israel, we knew we needed some help! 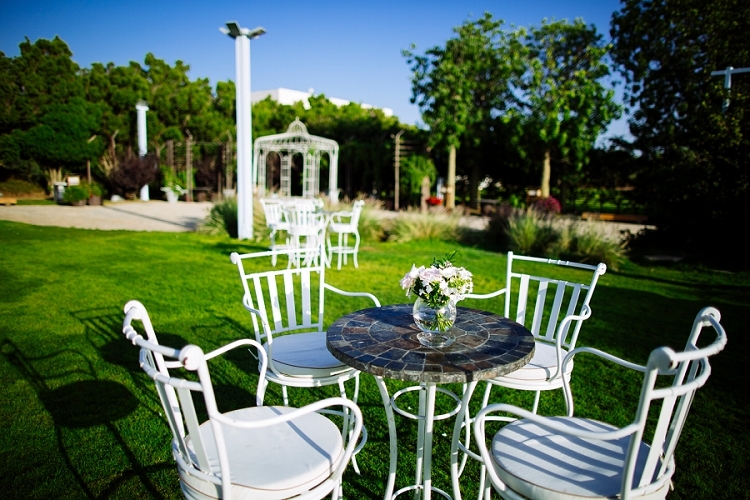 We were recommended Events Israel by Michal Kaye and used her as our wedding planner. She worked really hard to help us and the day flowed just as we needed it to. My mum has drilled the phrases ‘less is more’ and ‘don’t gild the lily’ into me from an early age. 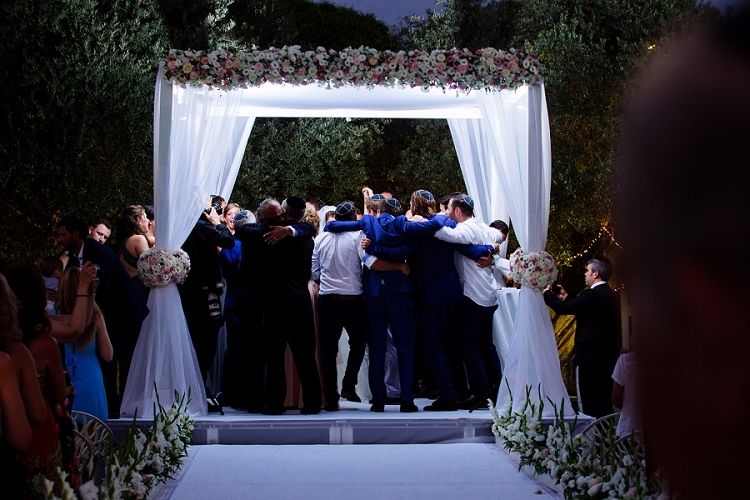 As a result, I didn’t want anything too extravagant in terms of decoration; the venue really spoke for itself and the chuppah already had beautiful surroundings as it was positioned between two olive trees. 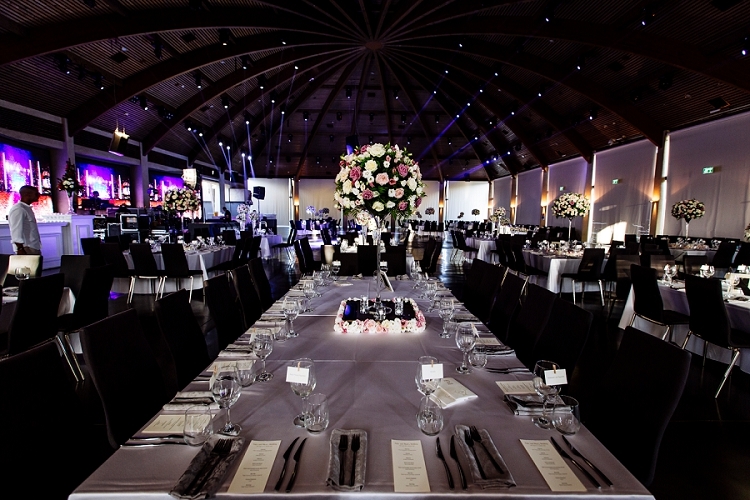 I prefer neutral colours, so I knew that things wouldn’t be particularly bright, but the room at Terra is enormous with really high ceilings, so we needed centrepieces that filled the space, and colours that would stand out. I initially chose whites and greens, but eventually was convinced to add some peach and pink. Looking back at the pictures, it was the right decision. Mark is from Liverpool and his parents are good friends with people who own a printing company, Rayross Print Factory. Mark’s mum and I spent an entire day at their shop with Steve, one of their designers. 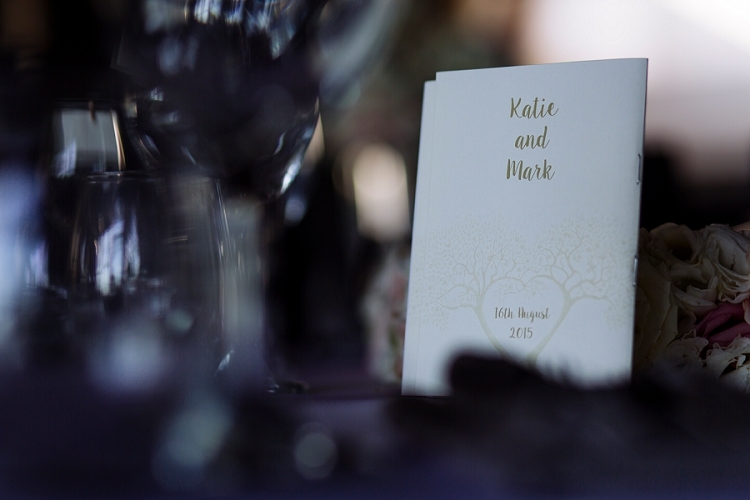 We designed the invitations (and all of the wedding stationery) from scratch. 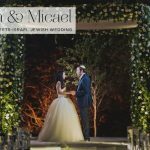 I really wanted to incorporate the idea of an olive tree as the position of our chuppah was going to be between two of them, so it felt like we were giving people a hint about the wedding without them even knowing. 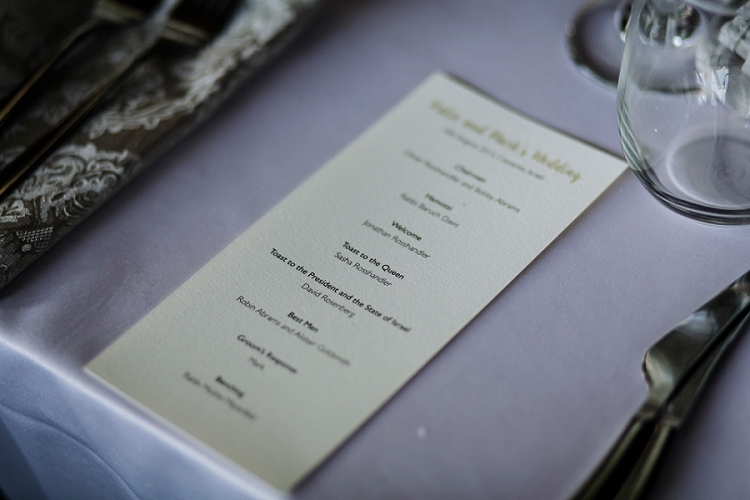 There was a huge amount of information that we felt needed sharing with our guests, but I didn’t want it to look too formal or overwhelming, so we decided to have different layers, each with its own heading. Once they were printed, my mum, Rita and I sat at the kitchen table putting the individual pieces of the invitation together with ribbon before sending them out — it was so nice to have that time together. I used Jaquelyn Mowszwsky Lawrence for makeup and Karmit Barashi Reznik for my hair. My makeup ended up being really important as I managed to get really sick on the day of our wedding. Jacqui not only looked after me all day, but she kept me calm. Her superb makeup skills ensured that no one knew how ill I was really feeling! I thought about having my hair down and flowing, but as it turns out, a heatwave struck on the day of our wedding. 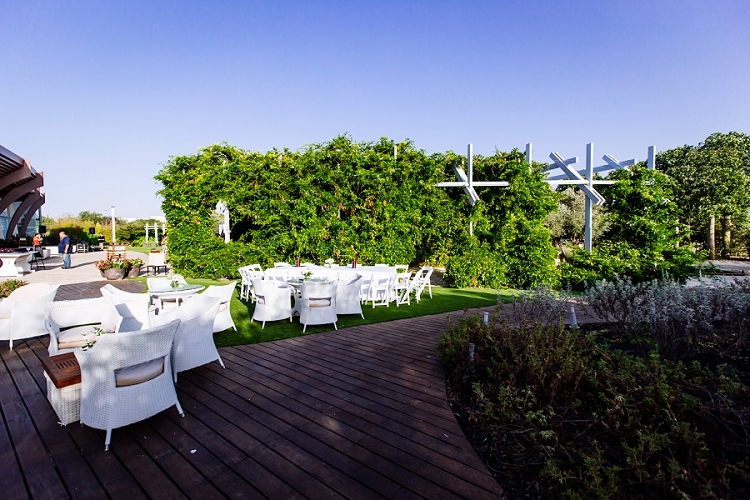 It was already typically hot Mediterranean summer weather in the week leading up to the wedding, and the heatwave raised the temperature by about 10 degrees! I decided, on the day, to have my hair to the side so that it was off my neck. I hated wedding dress shopping. I am 5ft 2” and nothing even remotely fitted – I couldn’t imagine what the dresses would look like when they were in my size, so I found it impossible to choose anything. Fortunately, I was recommended Shadiye’s Brides in Islington, who makes dresses from scratch. A few friends had used her and not only were their dresses were beautiful, they also couldn’t speak of her more highly. As soon as I walked in, I knew I was in good hands. I asked for a floaty, ethereal dress. She said no, and insisted that I needed to look more bridal. Instead, Shadiye designed a dress that fitted and suited my height and shape, and made sure that I looked like a bride. Shadiye was a dream to work with and I honestly couldn’t recommend her more. 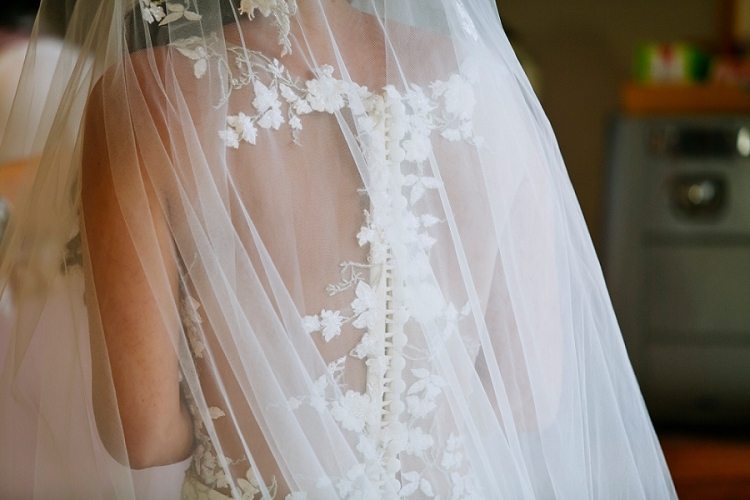 Shadiye made my veil to match the back of my dress. I didn’t want to feel claustrophobic so I wanted to find a way to not have the material straight on my face. 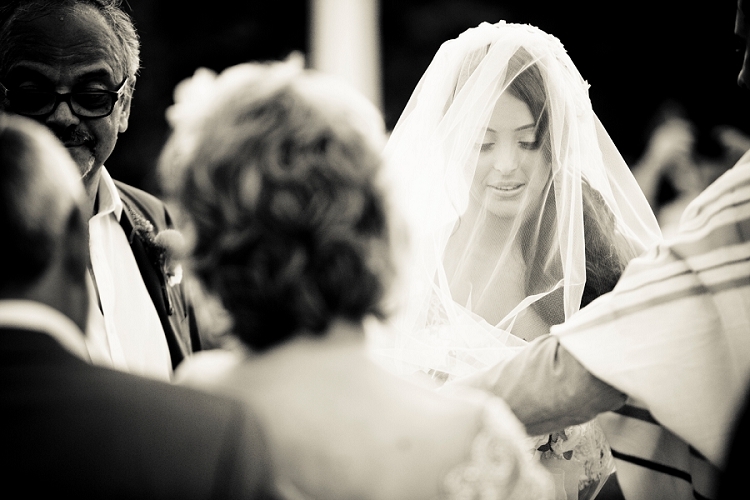 Shadiye designed the most beautiful veil that had the detail at the top as opposed to the edges. I wore pearl and diamond drop earrings from Jewellery Made by Me, which I found on Not On The High Street, but no other jewellery except for my engagement and wedding ring. The dad of a friend of ours, Jonathan Williams at Jewellery Cave designed my engagement ring, and Mark and I went to Hatton Garden to get our wedding rings made — it was a fun day out and Mark got to enjoy the haggling process! I wanted to be able to dance, but I’m so short and didn’t want to ruin the look of the dress. My shoes were wedges from River Island — dusty pink with a gold trim and a strap around the ankle for support. I’m not into designers so they suited me just fine. I thought I might get changed into Converse (my shoe of choice!) after the chuppah but never got around to it! Mark is probably the most laid back person I’ve ever met. He did check out the shops in Saville Rowe with his brothers but, like me, he’s not into designers so instead settled on a light blue suit from Reiss which he bought with a friend during a random lunch break before the wedding. Clearly not quite as much thought went into his attire as mine, but that probably sums us up. One thing that Mark was adamant about was that no one needed to wear a tie. In fact, we asked family not to as we wanted to create a relaxed atmosphere. Given the heat, we didn’t need to convince many people to go along with our wishes! The boys all brought spare shirts with them and stashed them in the side room — they all got changed about four times due to the insane dancing. We took that as a sign of a good night. I was sure that I wouldn’t have bridesmaids. I have the most wonderful group of friends and I knew that they would be a pivotal part of our wedding whether they had a title or not. My mother-in-law felt really strongly that I should ask them to be bridesmaids. 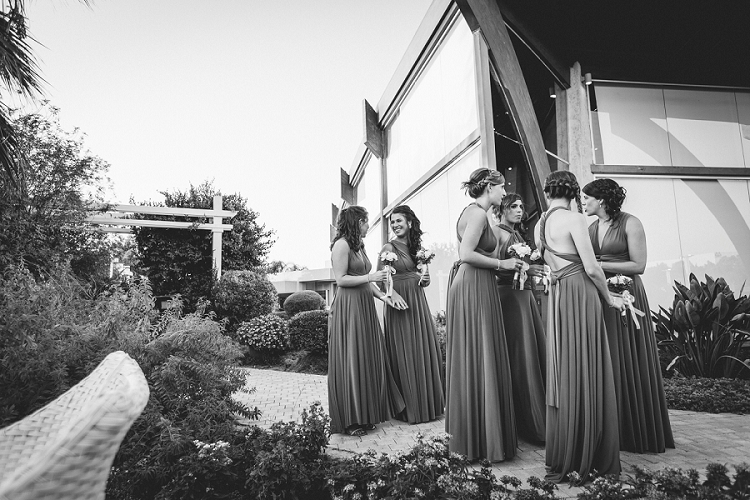 She jokes that I went from, ‘I’m not having bridesmaids’ to ‘I’m having six bridesmaids but they don’t need to wear anything specific’ to ‘I’m having six bridesmaids and buying them all a dress’. She was delighted! 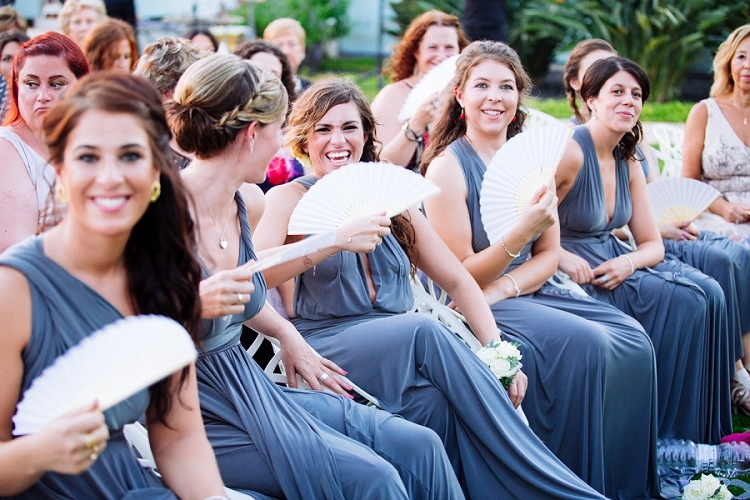 The dresses we chose were from TwoBirds and we got the slate grey colour. The best thing about Two Birds is that everyone can choose to wear the dress in the style that they feel most comfortable in. The girls have worn their dresses since, so I’m taking that as a sign that they were happy with my choice. The night before the wedding I had dinner with them, my mum and my mother-in-law. After dinner, I went to bed and wrote them all a card, which I hope they’ve all still got! I got them all a black top saying ‘bridesmaid’, ‘mother of the bride’ or ‘mother of the groom’ to wear whilst getting ready and as a little extra for the bridesmaids, I got a bracelet by Joma Jewellery from Not on the High Street to say thank you for being there before/during/after the wedding. Simple was key. 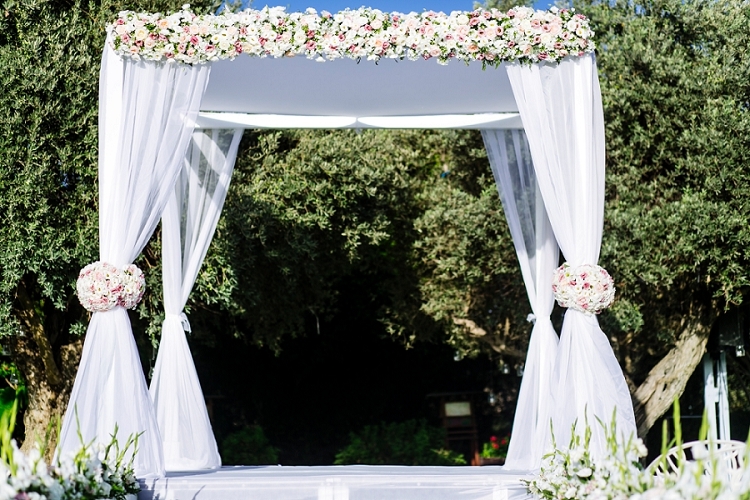 I wanted everything to tie in, but didn’t want to be lost in the chuppah design. 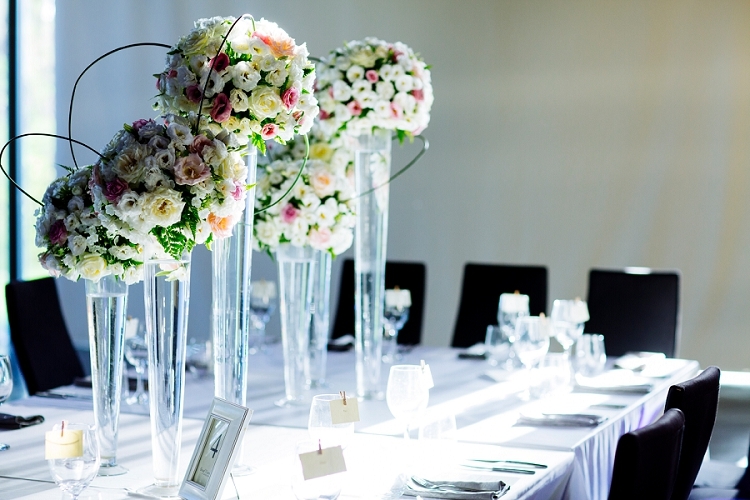 We settled on a thick bridge of flowers across the top and a silky material with matching flowers in the middle of the poles to bring it all together. 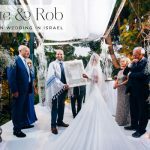 I specifically requested that the actual stage of the chuppah was big as I didn’t want us to look or feel cramped — the two of us, both sets of parents and two rabbis was a lot of bodies already, and then you have to remember that the photographer and videographer would want to get close as well. 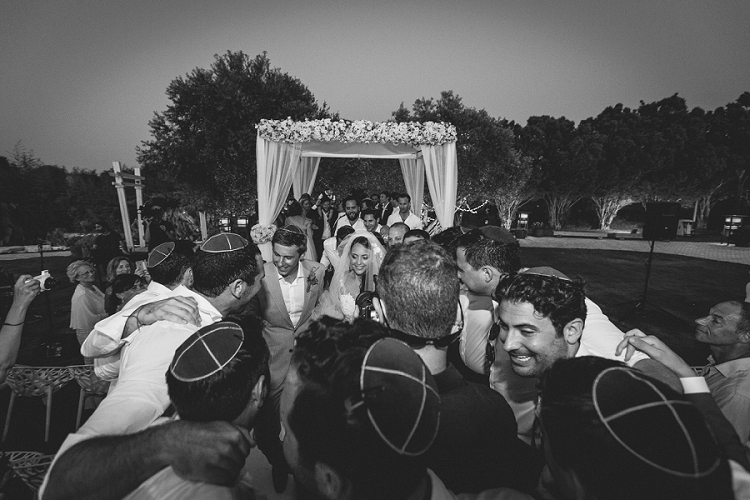 We had a walkway built leading up to the chuppah as I wanted to separate the area from the food stations and reception and this was an easy way to make that happen. 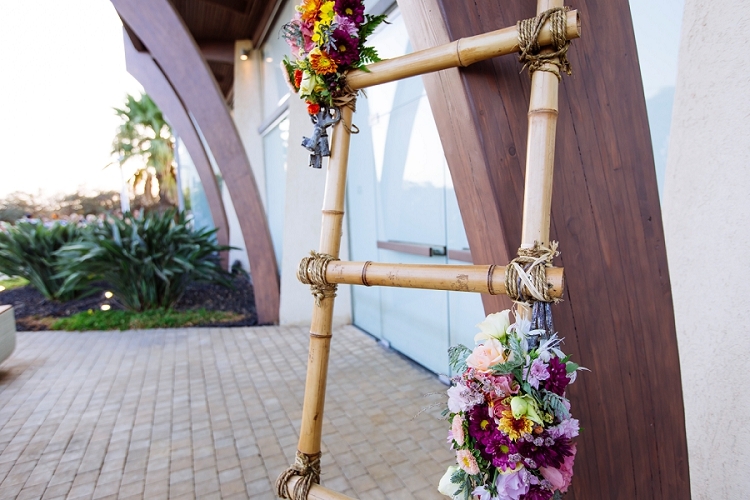 We had flowers along each side of the walkway which tied everything together. 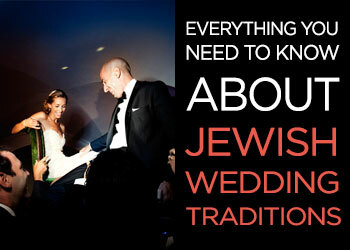 Mark and I decided that our Badeken would be at the chuppah as opposed to beforehand. 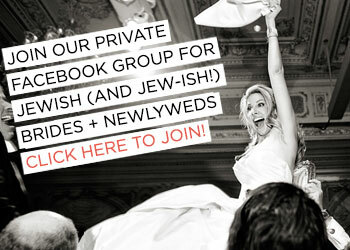 I loved the idea of seeing each other for the first time at the chuppah. The main thing that I really remember about seeing Mark for the first time was his smile. I joked with him before the wedding that I thought he’d cry (he never had until then, and still hasn’t to this day!) but it was the complete opposite. 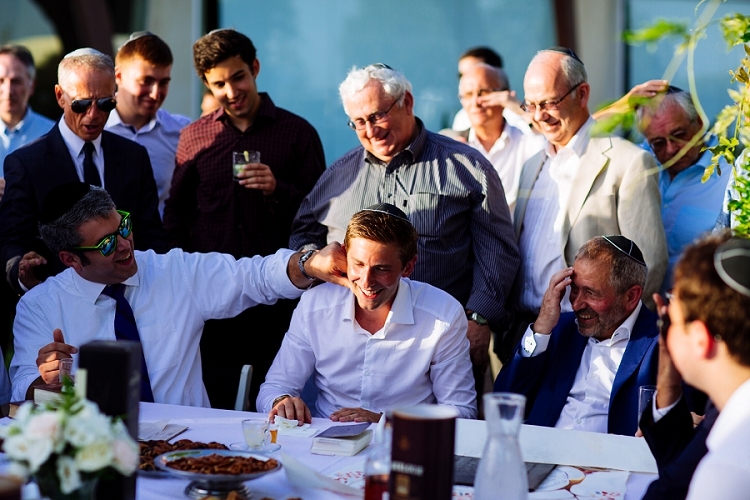 I knew at that moment that Israel was the right choice — he was in his favourite place, surrounded by the people he loved, in the sunshine. What could be better? 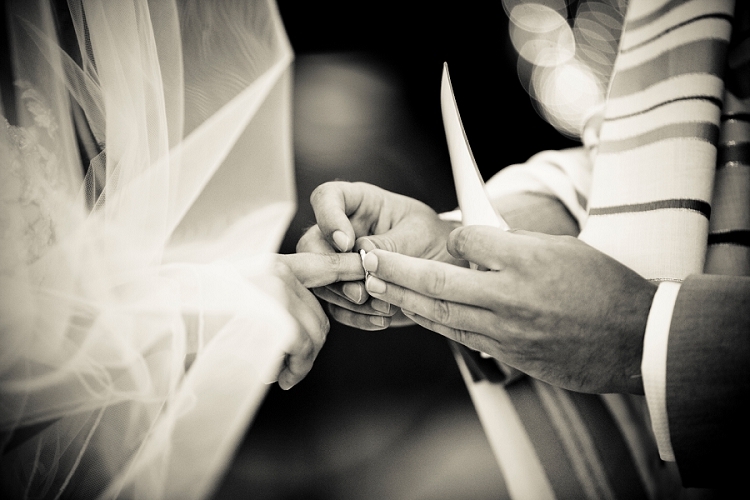 We knew that Rabbi Moshe Mayerfeld was the only person who we wanted to marry us. I’ve known him and his wife Liat since I was a teenager and Mark attended his Synagogue, Shomrei Hadath, in West Hampstead for a number of years. 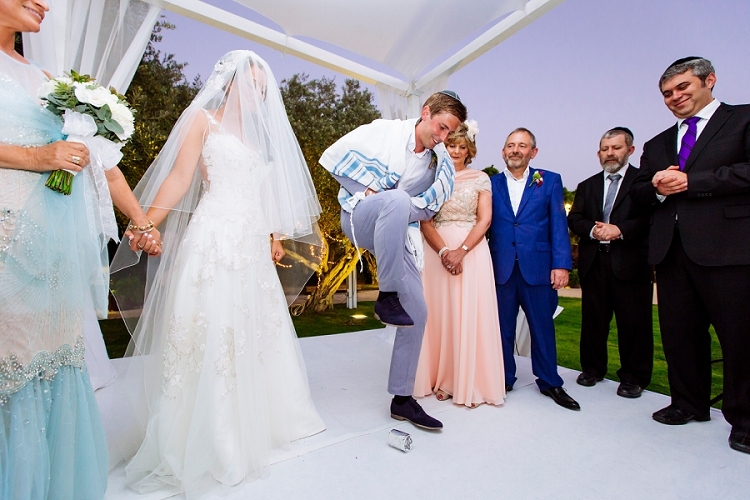 We flew him out to Israel so that he could conduct the ceremony. Having someone who could speak from the heart about who Mark and I are, and what he knew we stood for and how he viewed us as individuals as well as a couple was so special to us and we are so grateful that he agreed to officiate for us. Our ceremony was lighthearted (Rabbi Moshe took a selfie with us under the chuppah before he began officiating!) but had important messages delivered throughout. 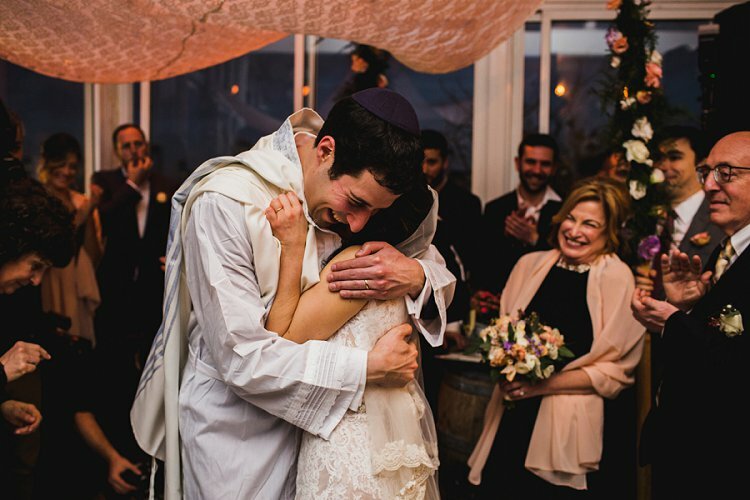 The blessing he gave us under the chuppah was ‘like this, everyday — but really, this should be the least happy day of your entire lives. It should keep getting greater and greater, more meaningful and more beautiful…’ — such special words. Our wedding was amazing but ultimately this was about the lifelong commitment we were making to each other and moving forward and that’s the message that really rang true during our ceremony. 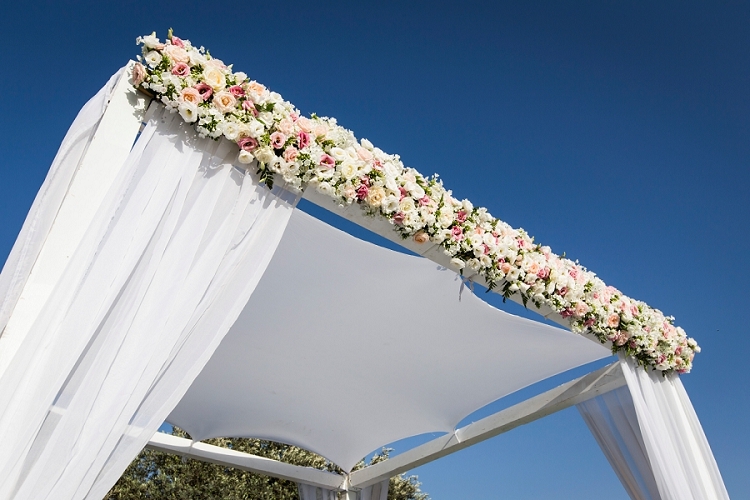 As I felt so unwell on the day, I was struggling under the chuppah. 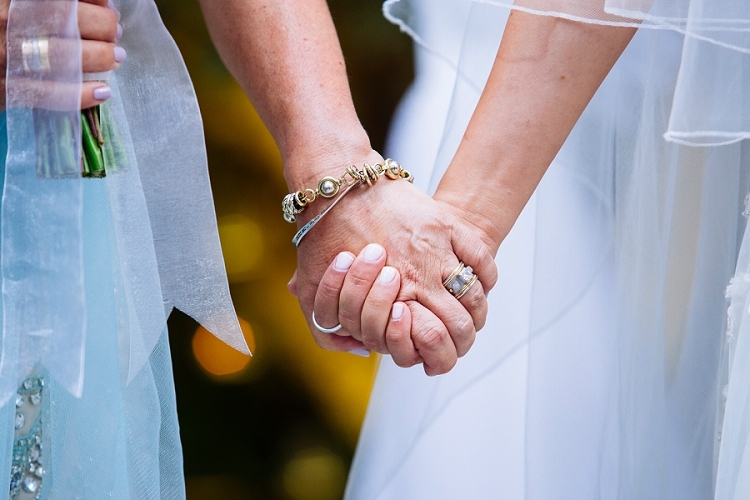 My mum noticed and gave me her hand to hold – we held hands for the remainder of the ceremony. That’s a memory (and picture) that I’ll treasure forever. It was such a simple thing, but such an important moment. It was worth being ill for… almost! 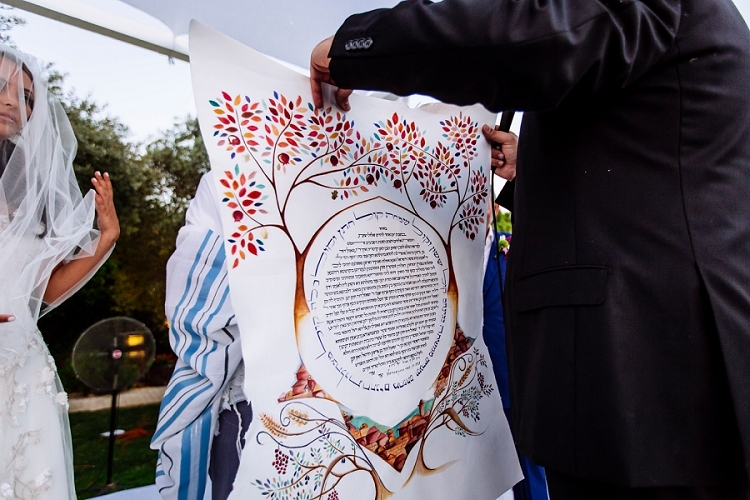 Our ketubah was designed for us by one of my bridesmaids, Deborah Schechter. We have known each other since we were teenagers and have quite literally shared every pivotal moment of our lives with each other. She is the most talented artist and made a ketubah for my parents to mark their 25th wedding anniversary a few years earlier. 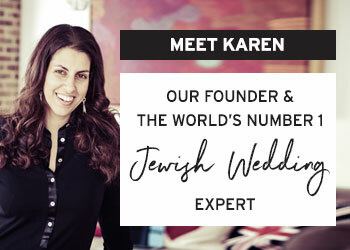 As soon as we were engaged I knew I’d be asking her to design our ketubah… it was such a given that I actually forgot to ask at all — fortunately she spoke up! Our ketubah hangs in pride of place in our home and is a constant reminder of our special day. 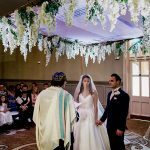 I find the music at weddings so emotive and really wanted to create an emotionally charged atmosphere for our chuppah procession. We had Vehi Sheamda (the Yossi Azulay version) for Mark and his parents walking down the aisle. For Mark’s family, my brothers and the bridesmaids walking down the aisle we had the Muzika version of Lecha Dodi. When I walked with my mum and dad, the chazan sang the Yossi Azulay version of Boi’ee Kala. 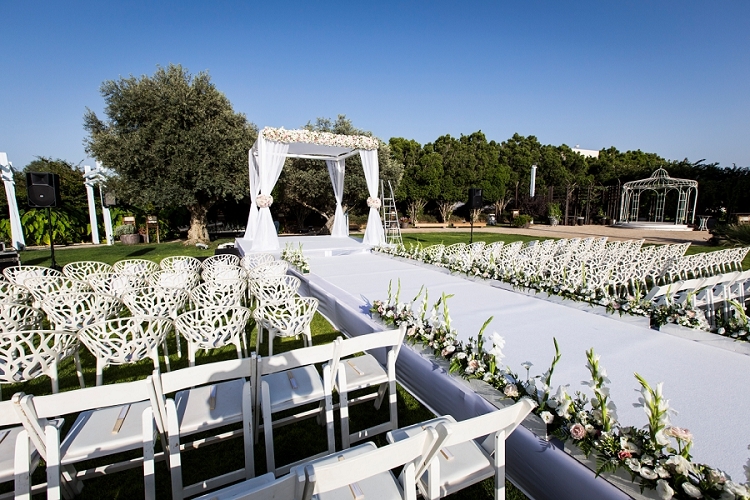 We used Ido Frid Event Design for our flowers and design, including the chuppah. They are a married couple and were really lovely to work with. They gave us ideas that allowed us to keep with the low-key but beautiful style that we were hoping for. My bouquet was a mixture of white flowers and succulents. 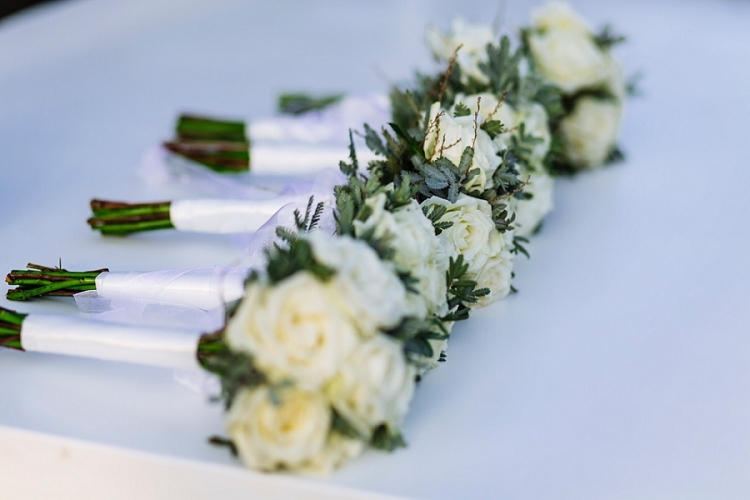 The bridesmaids had a slightly smaller version of my bouquet, and all of the men in the wedding party had a small, colourful burst of flowers for their buttonholes. 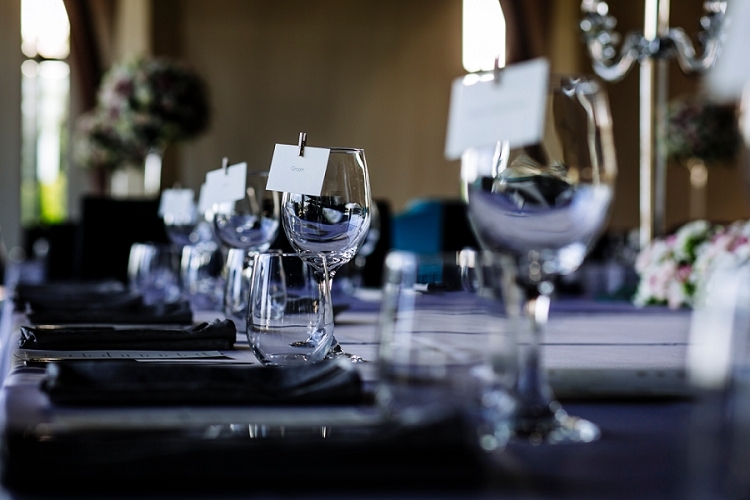 We had a mix of three different designs for the table centrepieces scattered throughout the room. 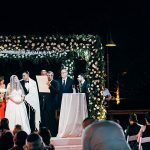 We had the windows blacked out during the reception and chuppah — they were only lifted just before everyone entered so it was a nice reveal. LOVE. RONEN. Honestly — Ronen Boidek is quite simply the most talented and wonderful human being. 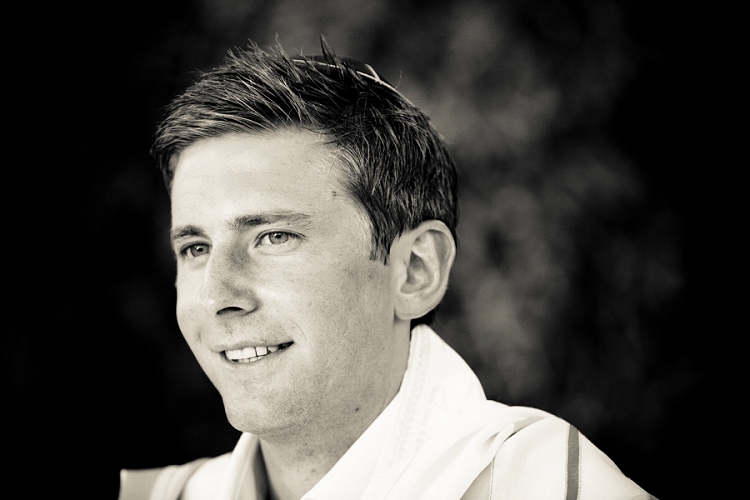 He does, of course, take stunningly beautiful photographs, but he’s also just a genuinely good person. You can have a post-wedding shoot which I was so excited for in the lead-up to the wedding. I was still feeling really rotten on the day we did this, but we managed to get a few good shots and had a fun day together before I began flailing. We’ve kept in touch with each other since the wedding and I’ve recommended him to every single person who’s got engaged since, wherever they’re planning on getting married! He’s willing to travel, so if there’s one thing you take from this blog, please please get in touch with him and check out your options! You won’t regret it. Our video was made by Canelà© – Oren worked with us on the day and Iris did the editing. 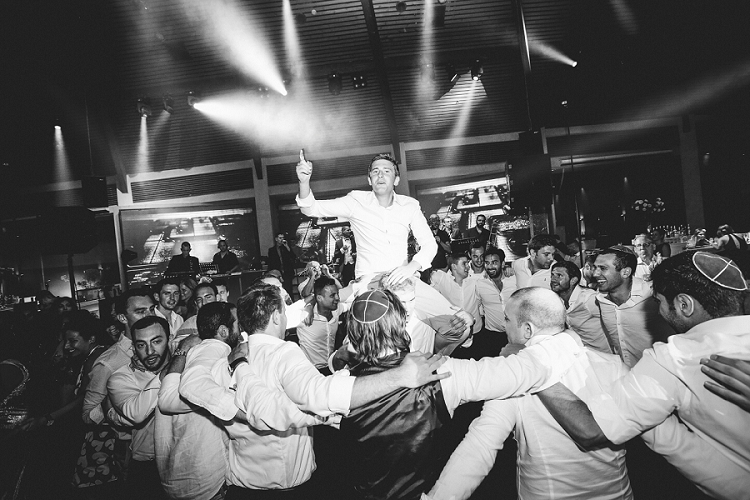 Oren got all the best shots without being intrusive and the way that the video has been edited is really clever – it really captures the energy on the day and doesn’t take on a normal formal style, which we love. We got a highlight teaser video two weeks after the wedding, a proper highlights video a few weeks later, and the full-length video soon after that – amazing service! For our first dance we had A Thousand Years by Christina Perri. A friend of ours is a dance teacher and lives in Israel — her present to us was to teach us a dance. We practiced with her for hours in the week beforehand before we said goodbye to each other for a few days, but on the night we had forgotten everything and just had to go with a typical sway! 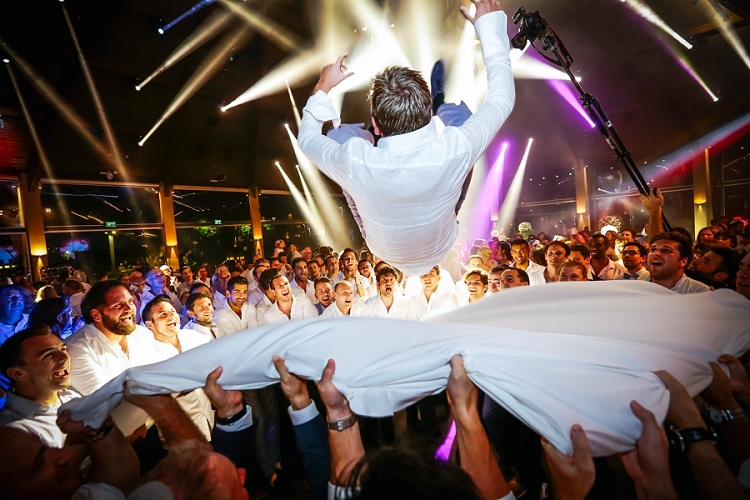 As we were forcing everyone to come to Israel for the wedding, we felt that the least we could do was put on a good party! We had a few meetings planned with bands but once I met Udi from Caliente, I knew that Legend was the band for us. My mum became really animated when we were at that meeting and their videos were so energetic that we knew we could trust them to create the atmosphere we wanted. What was even better was that Legend were happy to play until around midnight (although had no strict cut off), and then aDJ Ofer Nir took over until about 4.30am. We met with the DJ separately and gave him some information about the type of music we wanted and he really made sure that the dance floor was never empty. 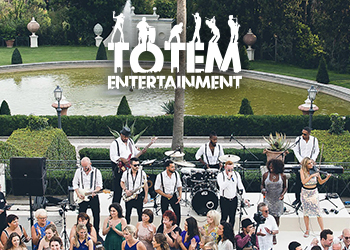 We couldn’t recommend them more highly — they were fab, and didn’t even mind when one of our guests took the mic and started singing in an unplanned performance! 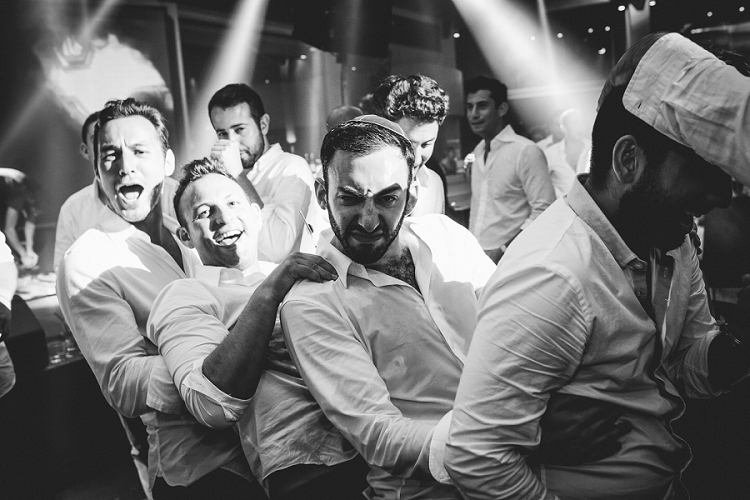 The band ended up creating one of our most treasured memories — the took us into the middle of the dance floor, made sure everyone surrounded us and then began singing Yachad. Everyone joined in. 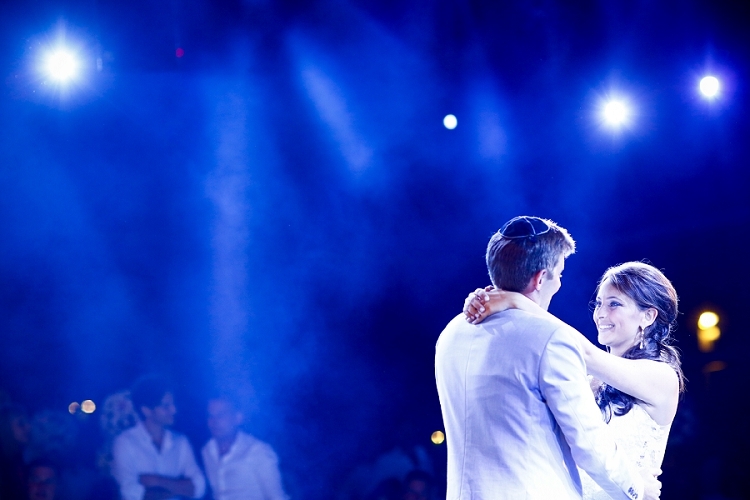 Looking around and seeing everyone singing together, while in Israel, at our own wedding is a moment we’ll never forget. We had a flower stall at our wedding. Guests could choose to have bracelets/headbands/little bouquets made and there are some gorgeous photos of the kids all wearing their headbands. We had an extra photographer, Magneto, throughout the wedding who was taking quick snaps and printing them immediately onto magnets. We chose to print them in a polaroid shape and had our names and the date of our wedding at the bottom. The printed magnets were put on display throughout the evening and people took them as mementos of the evening. What’s even better is that we were sent the digital version of all the photos that were taken, so we got additional keepsakes of our own. Sweet jars are always full in our house, so it only felt natural to have a sweet stand at the wedding. We got some quotes and they were so expensive so we decided on an alternative. 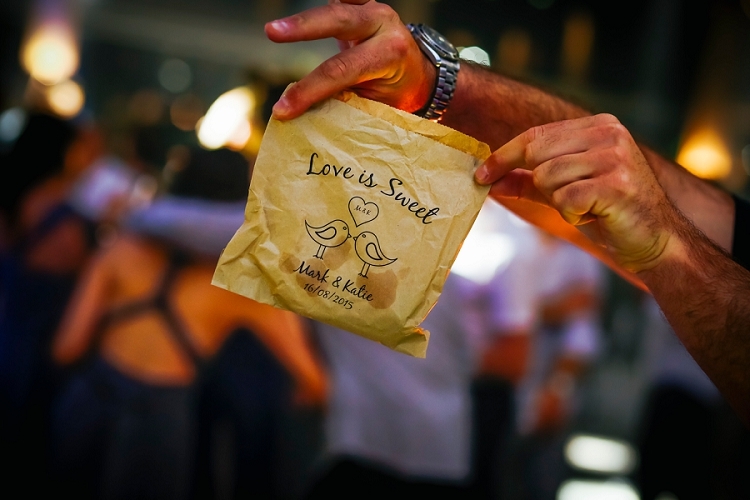 We got some brown paper bags personalised filled them with sweets from the shuk. They were brought out at 1am to give everyone a sugar boost to keep the party going. Despite my worrying about there not being enough, we actually had loads left over so a few days after the wedding we went to visit Save A Child’s Heart and donated the sweets to the kids. It was a nice touch at the wedding and the leftovers were received with glee from the gorgeous kids at SACH — win win! 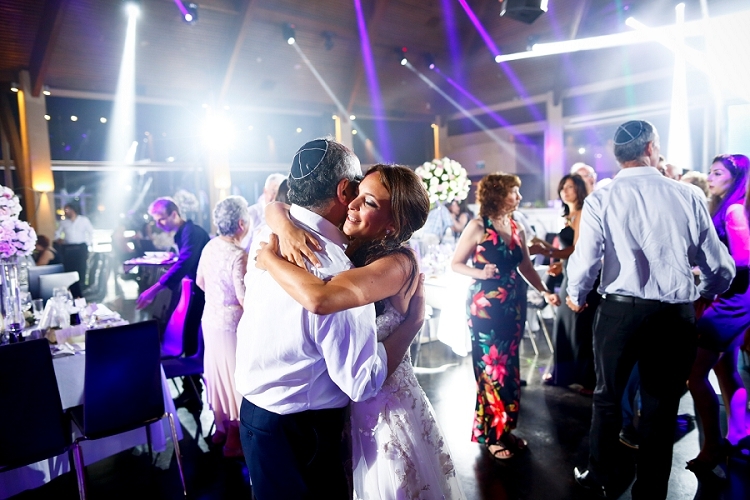 We also had fans on the women’s chairs, personalised grey kippot on the men’s chairs and bottles of alcohol were delivered to our friends’ tables once all of the speeches and toasts were done and the party was getting started. Our nephew, Noah, and niece, Myla were our page boy and flower girl respectively. Mine and Mark’s brothers were his ushers, along with approximately 20 of his friends! Mark’s best friend and youngest brother were his best-men. 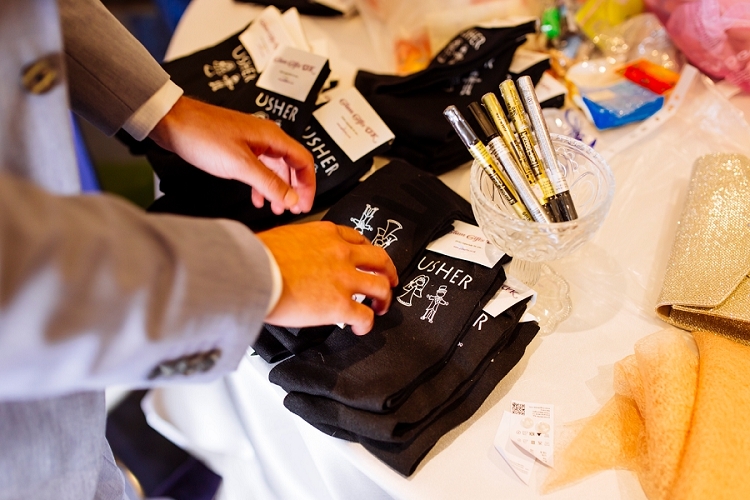 Having so many people involved in the wedding party meant it was difficult to choose a gift that didn’t blow the entire budget, so we settled on socks for all of the men involved in the wedding. They either said ‘Usher’, ‘Brother of the Bride’, ‘Brother of the Groom’, ‘Father of the Bride’ or ‘Father of the Groom’ — I’m sure that most of them never even got given out, but it was a nice idea at the time! 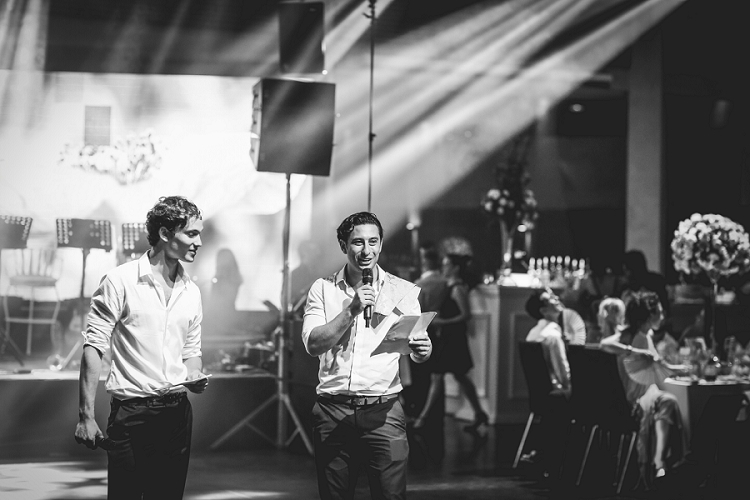 One of my brothers and one of Mark’s cousins were our MCs – they were fab! They are friends in their own right after they met at university and having them as part of our day was really special for us both. 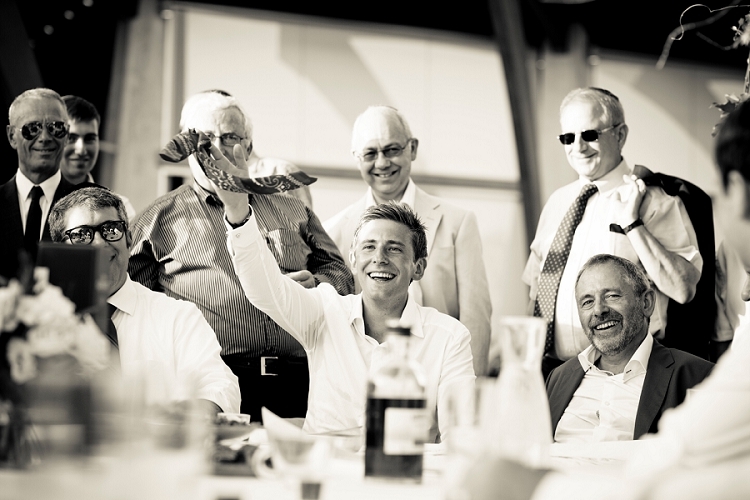 We chose a mixture of friends and family to say our sheva brachot during the benching, my youngest brother gave the Toast to the Queen and my oldest friend made the toast to the President of the State of Israel – he had flown over all the way from New York, so that was another special moment for me in particular, especially as his parents and grandma who’s house was my second home growing up had joined us at the wedding, too. 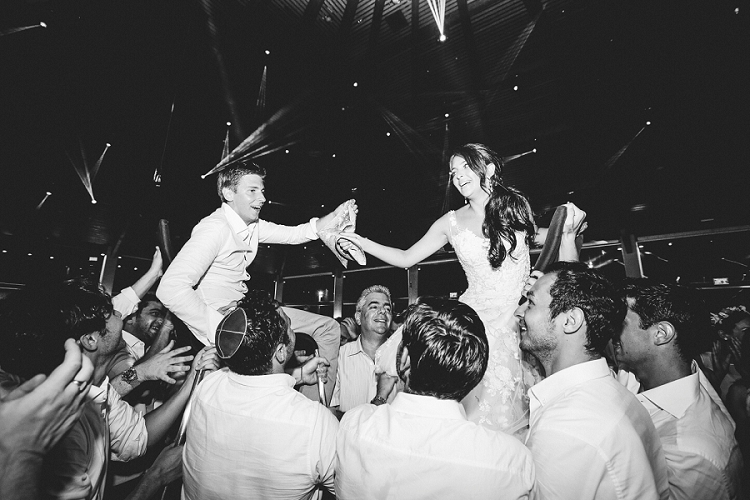 Some couples have a no children rule at weddings, but we couldn’t be more different – the more children, the better! We ended up with about 30 in total, so I thought that it would be a nice touch to have some activities to keep them busy. I went to Tiger and got loads of activities for them, including colouring books, crayons, puzzles, bubbles, play-dough and more. We put everything into a corner of the room and had a chalk board denoting it the ‘Kids’ Corner’. To me, a photo speaks a thousand words, so the more the better! 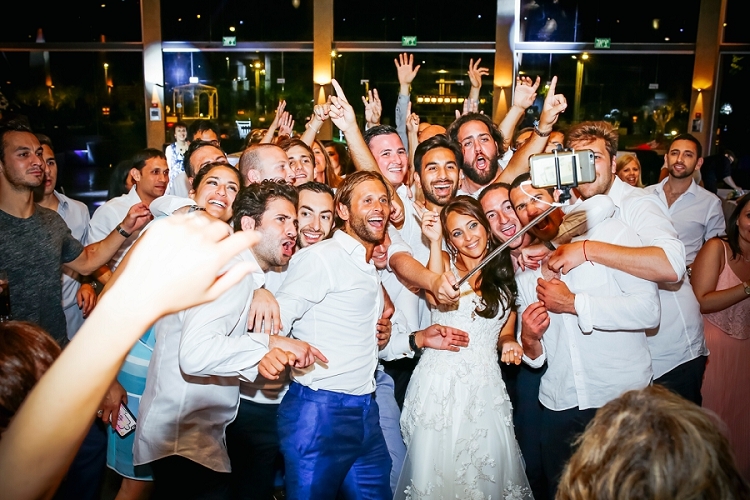 On top of Ronen and the magnets that were created on the night, we also put selfie-sticks on all of the tables with cards that told people where we’d like them to upload their photos to. Our friend has started an app called FOMO and our friends uploaded all of their photos onto our album. We used the album for pictures from the Thursday night out we hosted, the night of the wedding, and the sheva brachot our friends hosted afterwards. 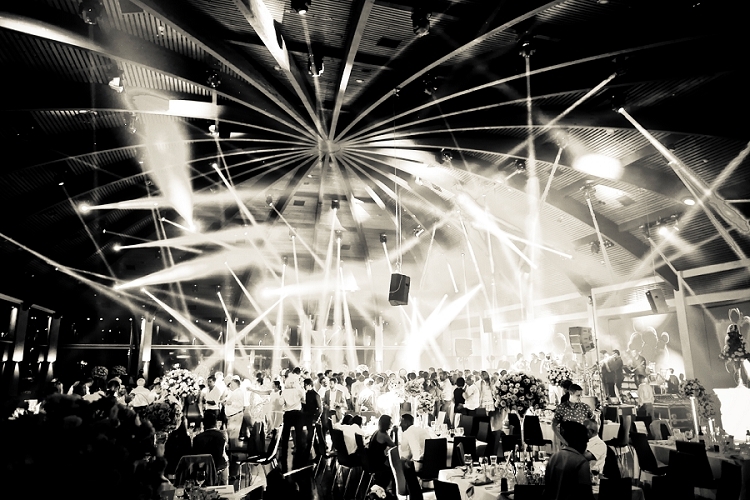 We’ve got such beautiful pictures as a result and I couldn’t recommend doing this more. 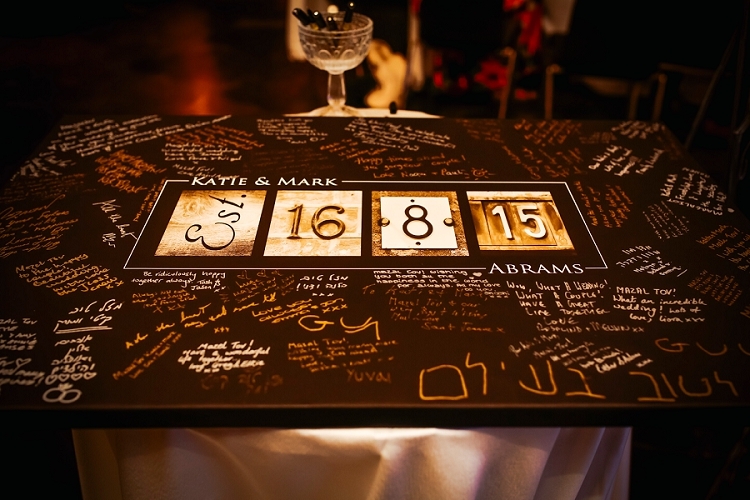 Instead of a traditional guest book we decided to get a big canvas made with our names and wedding date – people left such special messages and pieces of advice. The canvas is now hanging in our home, which is a lovely memento. 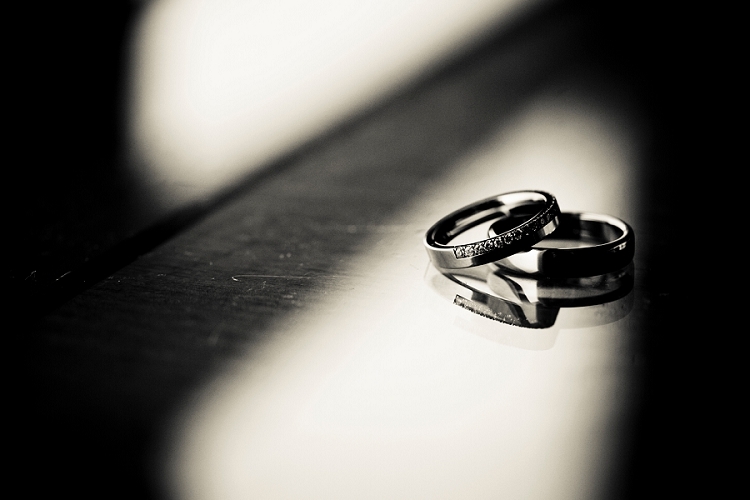 I worried about every single eventuality in the lead-up to our wedding. Will the coaches get stuck in traffic? Will everything run to time? Will people get sunstroke and not be able to attend? I thought of it all… except for considering my own health! 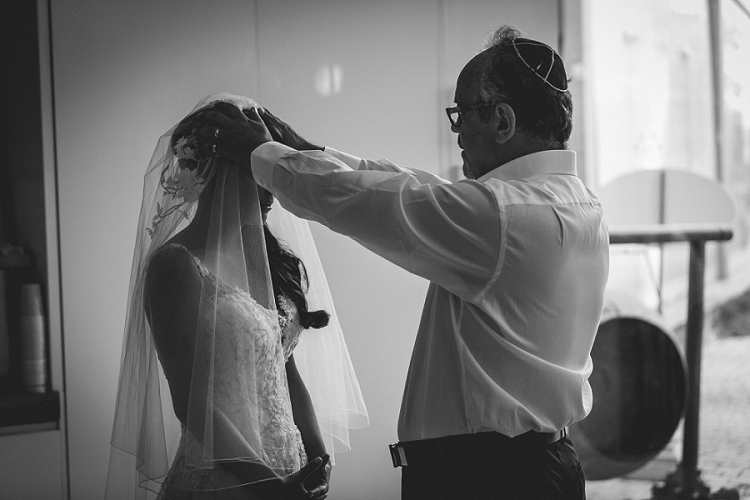 I think the saying goes, ‘man plans and G-d laughs’… well – I’m the bride who got ill on her wedding day. And I don’t mean I got a cold. I mean that I had a full on stomach bug that started at 7am on our wedding day and lasted for two weeks after. 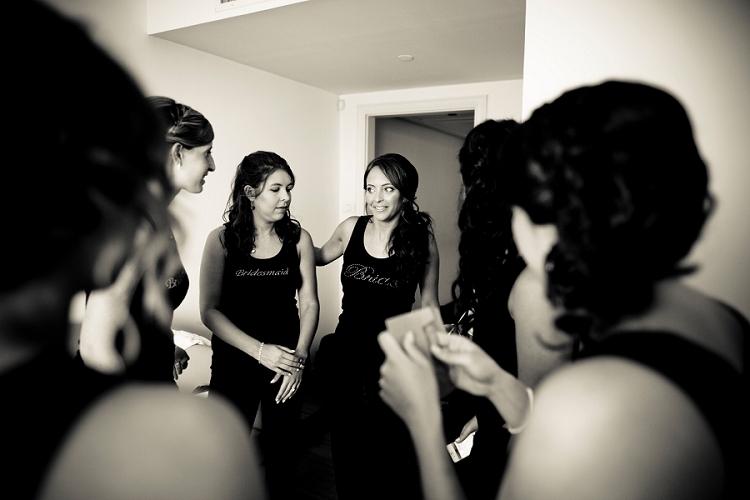 Being ill meant I didn’t spend any time with my bridesmaids during the day, we missed out on some of the pictures that I would have liked to get, and I was utterly exhausted by the time the coaches arrived at 3am to take everyone home. That said, the atmosphere that our friends and family created got me through and for that I’m eternally grateful. I still have memories that will last me a lifetime. Jacqui was, quite literally, a saviour with her magic makeup skills, and Ronen saved the day with his wizard-esque photography skills. What this confirmed to us is that it’s all about the people. 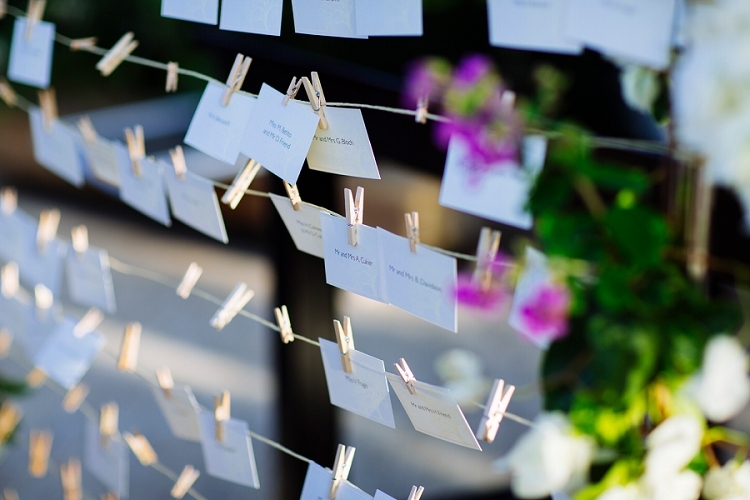 We were incredibly fortunate to have a stunningly beautiful wedding in the place we love, but what we truly took away from the experience was that none of that actually mattered. 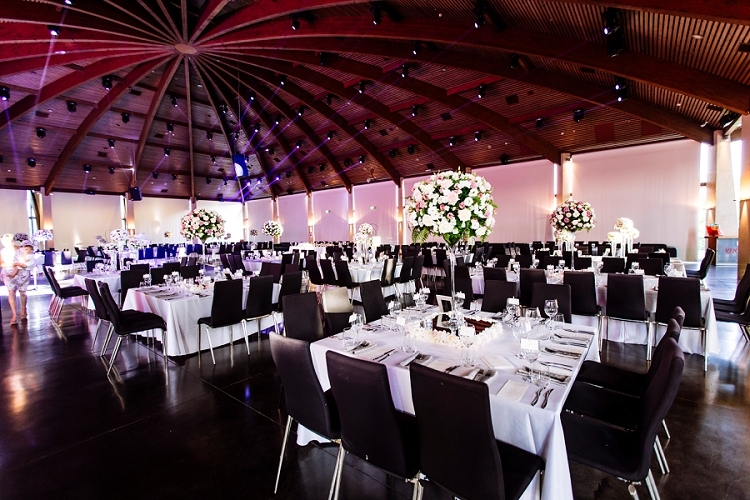 What matters is having the people who love you, and who you love most, all in one room, celebrating to their hearts content. That is what makes a wedding.